Why learn English in Miami? Learning English in America is an amazing experience and choosing a Miami English school makes it even better. There are a lots of great reasons why you should take an English course in Miami. 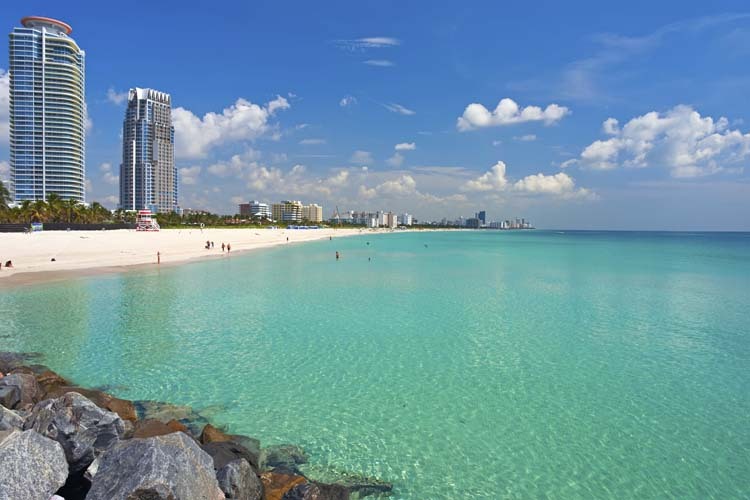 Visitors from all over the world agree that the incredible weather is one of the top reasons for a trip to Miami. There’s never a bad time to learn English in Miami, the summers are hot and tropical and the winters are short and warm. Thankfully Miami has the beaches to match the great weather. Students in Miami know they can go and relax on the beach and unwind after a hard morning learning English! But if the beach is not for you, then there are all the interesting neighbourhoods and buildings to explore. Miami Beach’s Art Deco District has the biggest collect of Art Deco in the world. Shopaholic English students have to make sure they have enough time to check out all the boutiques and designer shops in South Beach. When the sun goes down, entertainment in Miami goes to a whole new level! There are some of the world’s best and most stylish bars and nightclubs all around. If you are lucky, you might even see a famous actor or popstar hanging out in one of the clubs. The sunny climate and relaxed atmosphere help to create an environment that is great for learning English.